You must make reservations at least 5 minutes in advance of the time at Ruth's Chris Steak House - King of Prussia. $9 SIZZLE, SWIZZLE, & SWIRL HAPPY HOUR - Monday through Friday | 4:30-6:30 in bar | Enjoy a premium selection of hand-crafted cocktails, and delicious menu items like our Prime Sliders or Seared Ahi Tuna. All for only $8 each. THE CLASSICS MENU - $44.95 or $54.95 for 3-Course Dinner featuring a starter, entree, side, and dessert. 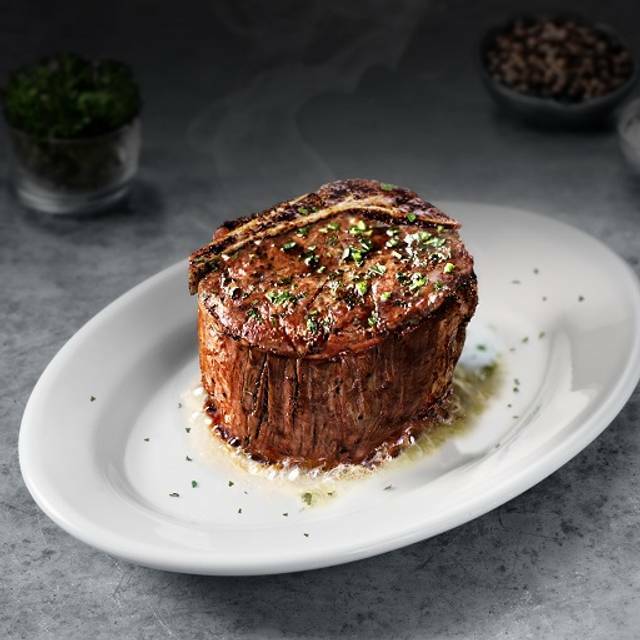 This world renowned prime steakhouse is conveniently located adjacent to the King of Prussia Mall at the corner of Mall Boulevard & North Gulph Road. Known for serving only the finest USDA prime beef & the highest quality seafood, Ruth's Chris never fails to please! 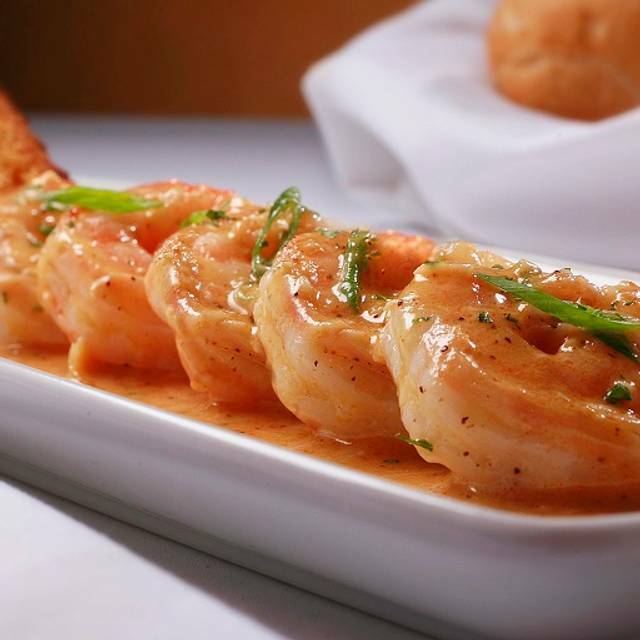 Chilled‎ jumbo shrimp with your choice of our classic creole remoulade sauce or our spicy new orleans-style cocktail sauce. Saffron-infused‎ pasta filled with veal osso buco and fresh mozzarella cheese. Served with sautéed spinach and a white wine demi-glace. 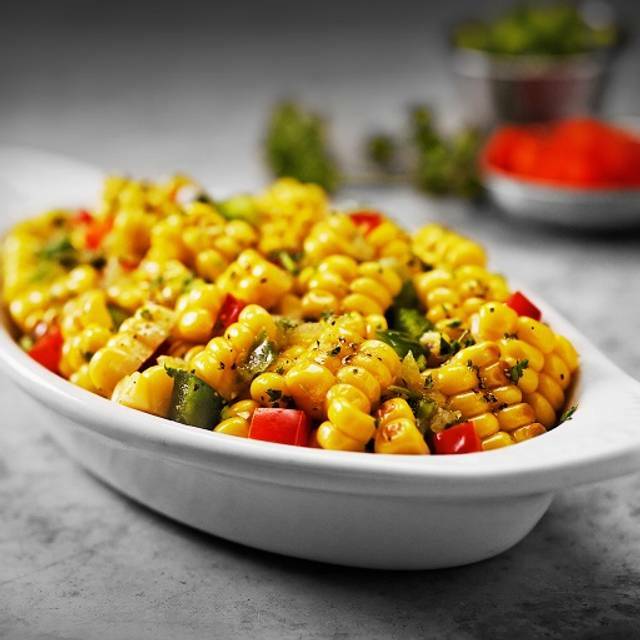 Perfectly complemented by a spirited sauce with hints of ginger, mustard and beer. Two‎ jumbo lump crab cakes with sizzling lemon butter. Our calamari is lightly fried and served with a sweet and spicy Thai chili sauce. Broiled mushroom caps with jumbo lump crab stuffing, sprinkled with romano cheese. 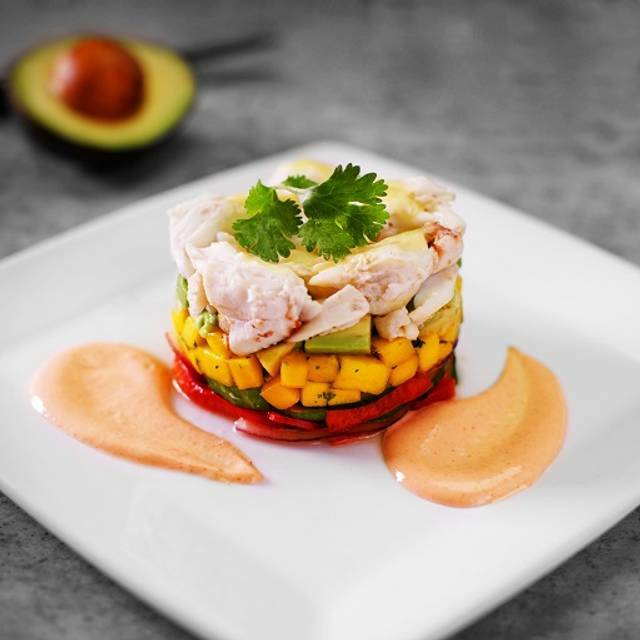 Colossal lump crabmeat tossed in our house vinaigrette and served with our classic creole remoulade sauce in a chilled martini glass. 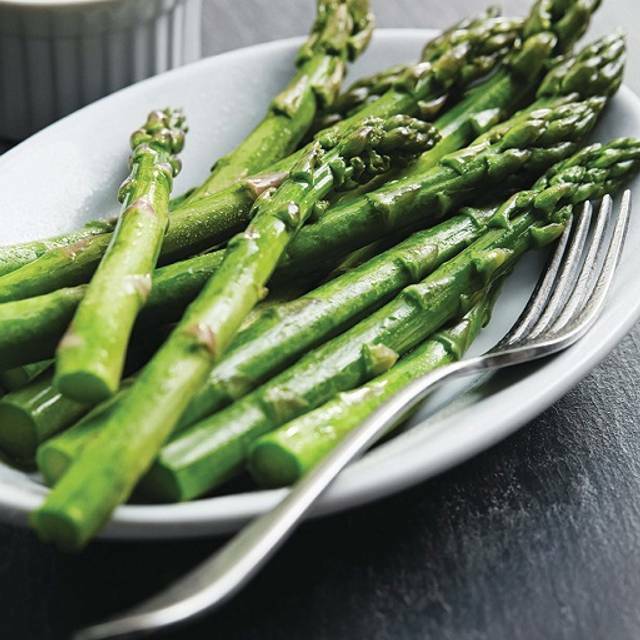 All of our dressings are made fresh, using our exclusive recipes. choose from: bleu cheese, thousand island, balsamic vinaigrette, creamy lemon basil, ranch, honey mustard, and vinaigrette. Fresh crisp romaine hearts tossed with romano cheese and a creamy caesar dressing. Topped with shaved parmesan cheese and fresh ground black pepper. A crisp wedge of iceberg lettuce on field greens, topped with crumbled bleu cheese and bacon, with your choice of dressing. Fresh‎ spinach tossed with sliced red onion and mushrooms. 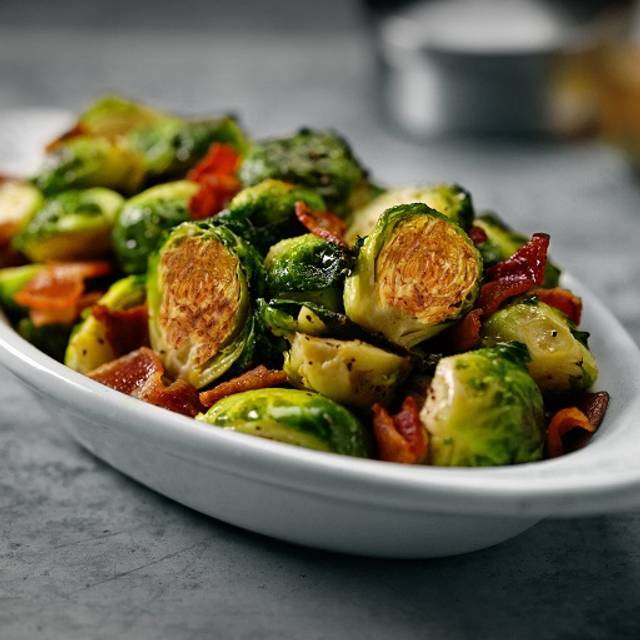 Topped with bacon and chopped egg, tossed with your choice of a warm bacon or bleu cheese dressing. A sliced beefsteak tomato, basil and fresh mozzarella cheese with balsamic vinaigrette. 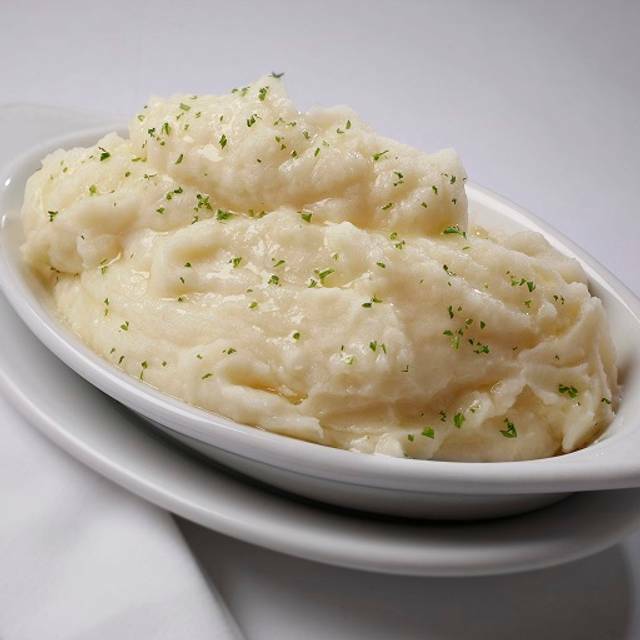 A Ruth’s Chris original. julienne iceberg lettuce, spinach and radicchio tossed with sliced red onions, mushrooms, chopped green olives, bacon, eggs, hearts of palm, croutons, bleu cheese and lemon basil dressing. served with grape tomatoes and topped with crispy fried onions. Iceberg, baby arugula and baby lettuces with grape tomatoes, garlic croutons and red onions. A sliced beefsteak tomato on field greens, topped with sliced red onions, vinaigrette and bleu cheese crumbles. This USDA prime cut has a full-bodied texture that is slightly firmer than a ribeye. A full-flavored classic cut of USDA Prime. Three chops cut extra thick. They are naturally tender and flavorful. An outstanding example of USDA prime at its best. Well marbled for peak flavor, deliciously juicy. The most tender cut of corn-fed mid western beef, broiled to your liking. A smaller, but equally tender filet. Our petite filet accompanied by one lobster tail. Two‎ center cut chops, extra-fine grained and flavorful. Broiled to perfection, served sizzling with sweet and spicy apples slices. This USDA Prime cut combines the rich flavor of a strip with the tenderness of a filet. 5 jumbo shrimp, broiled or blackened. Crab cake or colossal lump crab meat, asparagus and béarnaise sauce. Bleu cheese, roasted garlic and a touch of bread crumbs. Our steaks are served sizzling in butter. Please specify extra butter or none. Oven roasted double chicken breast stuffed with garlic herb cheese and served with lemon butter. Live maine lobster, from 2.5 to 5 pounds. Hand cut North Atlantic salmon available broiled or with cajun spices. Tuna‎ seared rare topped with colossal lump crab- meat and served sizzling with red pepper pesto. Marinated portobello mushrooms on our garlic mashed potatoes, with asparagus, broccoli, sauteed mushrooms and grape tomatoes. 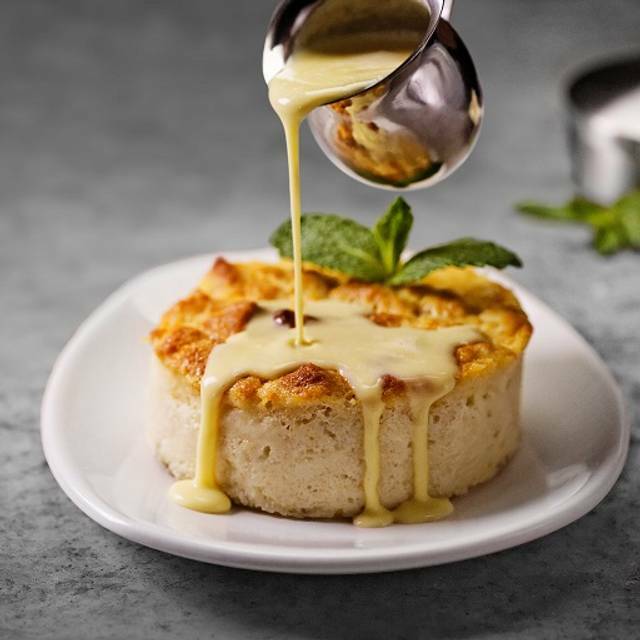 Served‎ in a cream sauce topped with melted sharp cheddar. With a hint of roasted garlic. Topped with a pecan crust. Ribeye is a rich, flavorful steak. The structure of the full-bodied cabernet enhances the richness of the ribeye. The structured flavor of the beef stands up to a sturdy meritage blend. This wine has undertones of rich black cherry that pair well with our strip. Filet‎ is a soft, delicate cut of beef. Shiraz has body and a full flavor that enhances and deepens the taste of the filet. Tuscan red wines have finesse, suppleness, and complexity — a perfect match for a full-flavored meat like lamb. So so good. Steak was just a cinch more cooked than I requested but still just melted on my tongue with the same ease as the butter it came topped with. The cremini mushrooms are not highlighted as a menu fave but they are also "so so good." I could inhale the 22oz cowboy ribeye in one sitting with a side of shrooms if I didn't care about the pretense of being cute on my anniversary date with my hubby [maybe next year ;-)]. 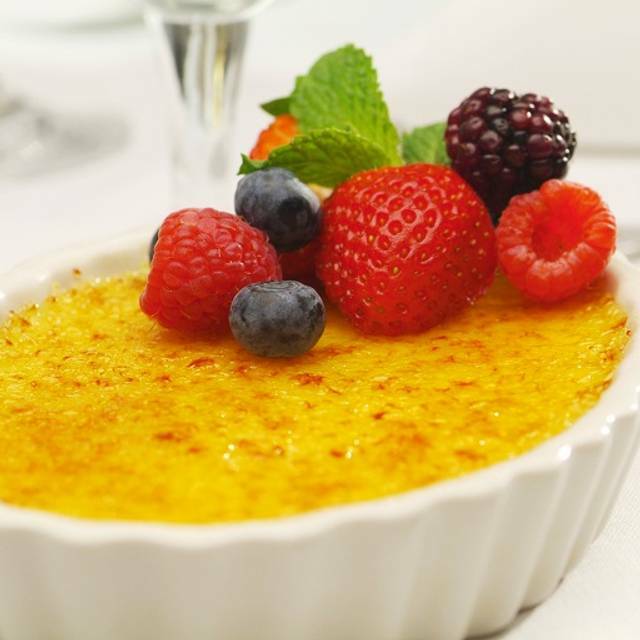 Also, the creme brulee - just YES. Service has been fantastic the 3 times I've been and as a bonus, they decked our table with red rose petals for our anniversary celebration. Oh! And they called us back to the restaurant when my husband left his wallet. We love it here! Excellent every time we have dinner at Ruth’s Chris! We go to the restaurant side or the bar area and each time as always-OUTSTANDING! The entire experience was wonderful! We enjoyed thee food and all the staff. Our waitress Linda was great, she offered her opinion and they were beyond our expectations, I will definitely return for another visit. We love Ruth's Chris. It is our go-to "special occasion" restaurant and it never disappoints. We celebrated a birthday on this visit and had an enjoyable meal. The seafood tower was terrific and the steaks are always good! Excellent service and a relaxed but quality experience. was sick the next day me with a stomach virus. My sisters was too! Unfortunately I had such high expectations after visiting a Ruth’s Chris in Maryland the week before. I even boasted to my friends in the business as to what an example the experience would be. Man did I have egg on my face. While the experience was dreadful, it feel short on pretty much every dimension of dining. The steaks weren’t seasoned and brought on a super small plate that didn’t allow for the shared side dishes. Speaking of, the spinach and sprouts were inedible. All around bad execution and attention to detail. I think I will be heading back to the Ruth’s Chris in Maryland. Undercooked meal but our server never came back to ask. Thank God we got a bottle of wine otherwise we also would have died of thirst. Probably the most disappointing meal at a Ruth’s Cris. Update...still waiting for our check 30+ minutes after requesting it. Sheila our waitress was great and very attentive. I love coming to this particular Ruth Chris because the staff are so friendly and we never feel rushed. The food was excellent and the service was fantastic. The waiter made the experience very enjoyable. We had a birthday in our party and received extra special attention for the celebration. The steak was excellent. Our server Corey was great. He was friendly and upbeat and a pleasure to speak with. He is an asset to the organization. We have been at this restaurant many times and this was the best waiter we ever had. Wait staff was above average and very helpful. Food was good, my steak was chewier and had more fat than I would expect from a steak house. Brussel sprouts we're a let down. Everything was good. Really disappointed. Did not feel like a five star steakhouse at all. The food tasted just slightly better than Applebee’s. We both ordered filet medium and they came out completely different. Mine dried out and my husbands bleeding still. Nothing about this place felt special or worth the price. Do no recommend at all. Service was attentive and wonderful however food was a disappointment. The salad greens were limp wasn't too visually appealing. I ordered my shell steak medium but it arrived medium well. The texture and quality questionable if it was prime grade. The rib eye was fine though. Our sides of fries (regular and shoestring) were decent, steamed broccoli cooked well but portion was small. Overall, quality of food does not stack up against the other two steak houses we've dined at KOP. Alessa our server was the best! Made the night that much more enjoyable! Good food. Good food portions relative to price. Would definitely return. Outstanding manager and service personnel. Some of the food seems to trend towards the salty side. Calamari, Lobster Bisque and drawn butter were all too salty. Service however was outstanding. Went with friends for 2 of our birthdays. Steaks were so delicious & we all enjoyed our sides of creamed spinach, potato au gratin & baked potato. Cocktails were great as was our wine. They have a nice wine selection (by the bottle or glass). Steaks were sizzling & cooked perfectly. Wonderful time was had by all. Our server Andrew was excellent and would absolutely go back just because of his friendliness and service. The crab cakes were the best thing ive ever had!!! Everything was great! We were seated very quickly and it was exceptional customer service. We love Ruth Chris but had a less than stellar experience for Restaurant Week. My parents, nephew, boyfriend and I went and while everyone was part way through their meal, mine arrived. When I cut into my medium well filet, it was rare. The server graciously took it back to cook it to order. I received it back and everyone else was finishing. The plate burned a circle on the linen tablecloth. I had to transfer the food to a small plate since it was continuing to cook and I had to wait to eat then. I was comped a beer for my trouble at that point. After eating the server brought the dessert menu over and said to pick one, which was nice but I was getting a dessert with my meal. Overall, while the service was excellent my meal should have been comped. I was not very pleased with this visit. I will return but hopefully next time will be a better visit. We went during King of Prussia Restaurant week. The filet and shrimp were tasty, but portions were very small. Calamari appetizer was served cold and greasy. My broccoli was good, but my friend's was almost uncooked. Our wine and cocktails, both excellent. Husband's salmon was meh, also very small. There was a musty mildew smell, especially in the draperies, but also throughout the restaurant. By the way, I am not a fan of the 500 degree serving plates. Who does that?! What, I can't touch my plate? Dessert cheesecake - could hardly taste it, and served warm! The service and food was exceptional. I will be returning again. I do not frequently write poor reviews l unfortunately must tell you about this experience. Disappointing would not appropriately describe this experience. First, on the way to the table the aroma passing the restrooms was noticeable and off putting. Table was fine but the room was so loud my fiancée and I felt like we were shouting across the table to be heard. Ordering was fine. Lobster bisque was quite good. Then.... the main dishes came. I ordered a petite ribeye and she order a filet. They came in plates smaller than the bread plate on the table. Literally. My cut was poor quality and less than an inch thick. Both pieces were severely under seasoned and required our own salting (and not by grinder, but by salt and pepper shakers than looked like my mothers 1950 kitchen table shakers) The mushrooms had so much Thyme on them, they completely lost all flavor of the mushroom. Poor preparation. Terrible presentation. A wine list that lacked any character or curation. A lack of any demonstration they know how to treat a cut of meat. Add a $137 bill before tip and without alcohol and we will not be returning. Our waiter was Roberto. He was amazing! Food had to be sent back twice filet wasn’t cooked and add ons were never sent out. Creme Burlee was not crisp the sugar was not caramelize. Just not worth the price not even during Resturant week. Have eaten here last year during Resturant week and it was excellent but not this year. Had a lovely date night at Ruth's Chris. Service was fantastic. Food was very tasty and perfectly cooked (had filet, shrimp and salmon). Salad was too heavily dressed, that is my only complaint. Overall, won't be in hurry to return. The "steakhouse" feels just a little outdated. Would prefer more interesting and exciting meals. Case in point: your filet is served on one plate, your sides come out on separate dishes. There's no sauce... nothing "extra". Everything feels disjointed. Personal opinion. Food very good to excellent. Service also very very good. One comment: If you ask for take home of foods, make sure they put lids on any thing that may spill (ie salad dressing, liquids etc) and also not put various foods in the same container. Otherwise I highly recommendn Ruth's Chris. We eat there quite often. The food was good, but I’ve had better at other steak houses. My boyfriend ordered his steak medium and it came out medium-well. The table we sat at was in the corner of the dining room, which was fine but, I was directly under a light and was sweating the whole time. There was also a large party celebrating a birthday so it was a little noisy. Wonderful experience and opportunity during Restaurant Week in KOP while on a trip for work. Food was excellent as was the service. Would not hesitate to return. Food was excellent. Service was awesome and fast. Visited the restaurant during King of Prussia Restaurant Week. I was excited about the deals and the options. I am glad that they support Children's Hospital of Philadelphia during their Restaurant Week.